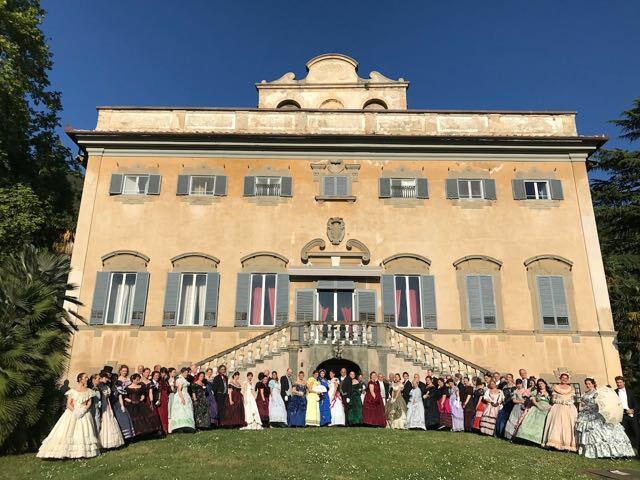 Circolo Pisano della Società di Danza organizes anreconstruction of a 19th Cenntury grand Ball in the marvellious historical Villa Agostini della Seta di Corliano, close to Pisa. Quadrilles, waltz, polka and mazurkas, contredanse and marches, Scottish country dance and aglio. The ball will take place in the elegant and charming main salon with ancient frescoes of Villa della Seta di Corliano. A tea buffet will be served in the beautiful park with secular plants. Villa di Corliano is recognized as one of the most beautiful renaissance Villas in Tuscany. Participation by invitation. Dress code: 19th Ball dress romantic period.